My Family's Heart has assembled a stellar team of more than 40 bloggers to help, with book spotlights, character interviews and bios, guest posts, and reviews. Plus TWO great giveaways running all month! 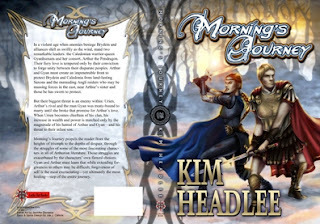 Some of the tour stops are already live, and I will be updating the rest of the links as the month unfolds. First, I invite you to be swept away by this gorgeous new book trailer! Oct 1: booksandbookmarks: Spotlight, Review: 4/5* Snow in July is "full of magic, romance, suspense and adrenaline." 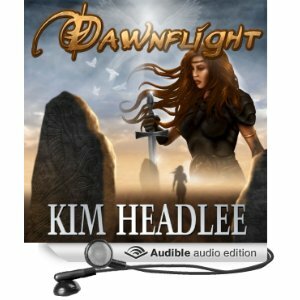 Oct 6: Wanda Loves Books: Spotlight, Review: "Faith, Love, Loyalty all are tested...I was sad to leave [this] story behind." Oct 8: Dowie's Place: Spotlight, List of This or That, Review: 5* "This is a great read!" 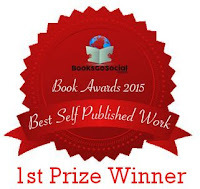 Oct 14: Musings of an Author: Spotlight, Guest Post "The Inspiration Behind Snow in July"
Oct 15: A Coffee Addict's Book Reviews: Spotlight, Character Bios, Top 10, This or That, Author Interview, Guest Post "Does Real Life Mirror My Novels? 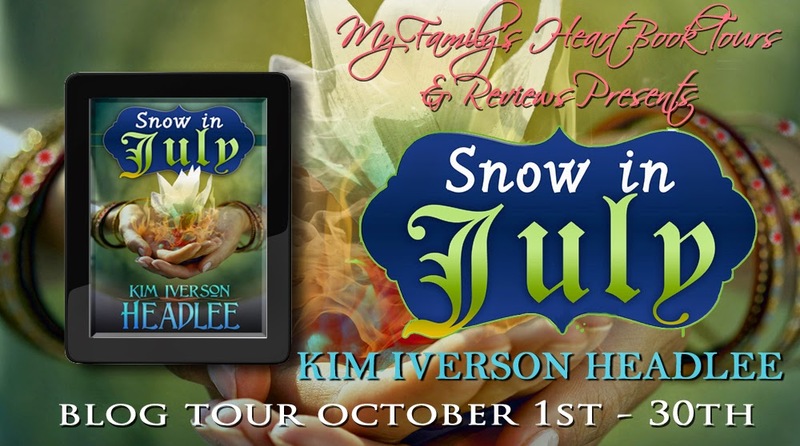 ", 4* Review: Snow in July is "a magical story... I love enemies-turned-lovers theme." Oct 18: Books and Writing: Spotlight, 4* Review: "I didn’t want [Snow in July] to end. I’m really glad I took a chance on it, I’ve fallen in love with it." 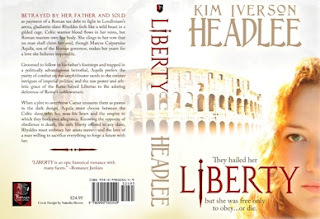 Oct 20: Romantic Reads: Spotlight, Review: "I love this one… totally has me hooked." Oct 22: S & N Books and More: Spotlight, Review: 5* "I loved this story and could picture myself in the time with everything going on!" 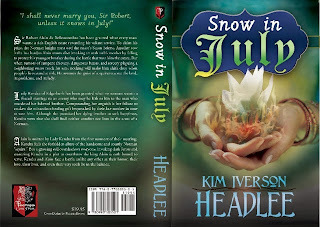 Oct 25: Arthurian Romances: The World Pertaining to King Arthur: Spotlight, Review: Snow in July has everything a reader could want, Romance, Intrigue, History, Magic, and a knight in shining armor! Oct 25: MCSimonWrites: Spotlight, Story Inspiration, Top Ten TV Shows, Top 10 Magical Powers, This or That, Guest Post: How Competitive Swimming Influenced My Writing, Character Bios, Review: My eyes were full of tears and joy, I was smiling and I was sad, my heart raced a lot while following the action step by step. 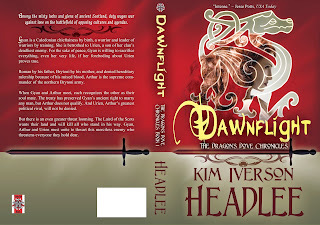 Oct 29: Kimi's Medieval Author Interview Blog: Spotlight, Character Bios, Review: 4* "You get surprises at every turn." And don't forget to enter all the great giveaways I'm running this month! Les histoires nous font plus. ~ Stories make us greater. 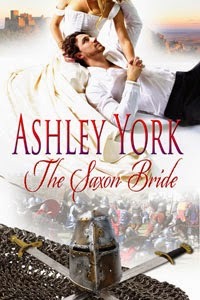 Ashley York with her take on a Norman knight and Saxon heiress who are forced into marriage by William the Conqueror in The Saxon Bride. In war torn England the battle lines between Saxon and Norman are clearly drawn. The Saxons must fight for everything they have in the hopes of winning their country back from the Normans who are determined to break their resistance. Rowena Godwinson, the sole remaining member of the defeated royal family, stands proudly against the Normans that would trample them underfoot. When the new King decrees she marry a powerful Norman knight, her subjugation appears to be complete. The handsome soldier with the kind brown eyes and gentle touch is a threat to her determination to defy the interlopers. 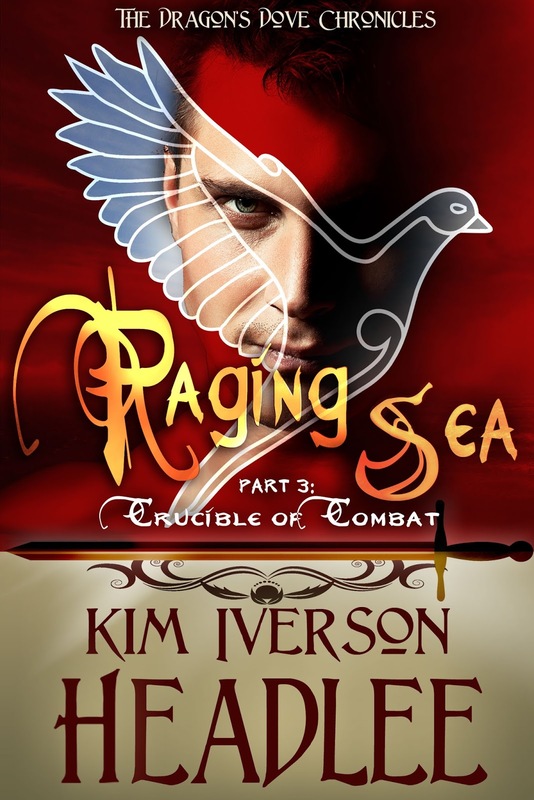 Can she hold firm to her Saxon heritage and refuse to give in to his advances? John of Normandy resists marriage and wants only to prove himself worthy of William's trust but when rewarded by King William with the gift of an earldom and a Saxon bride, he balks at marriage, driven by the guilt of knowing her father died by his sword. However, John's reluctance is soon replaced by a deep desire to please this woman and win her over as well as her people. A Norman. I have been given to a Norman to wife. Rowena Godwinson, daughter of the late Earl of Essex and the last living member of that powerful Saxon family, stood before her reflection in the polished brass. The wedding gown passed down through three generations of Godwin women before her, draped softly across the shoulders, skimming down her waist and falling over the tips of her deerskin slippers. She blinked back with vacant eyes. 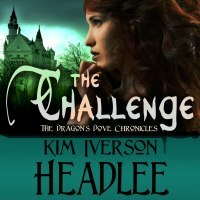 Fear tripped up her spine and her stomach clenched. She had lived among the victors for nigh on five years now. Their disdain for her people was quite obvious. Now the man who had usurped her own uncle as rightful king at the Battle of Hastings had ordered her to marry. With both parents dead, she was his ward. Rowena clenched her teeth and turned to the window. She glimpsed the slate roof of the chapel beyond the trees where the nuptials would take place this very day. Her family's chapel. Countless celebrations with uncles, close friends, and more cousins than she could name, had taken place there. Those were happy years. 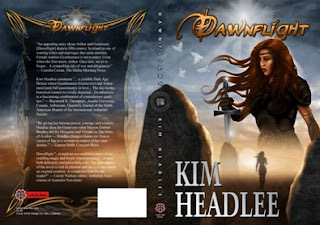 Rowena looked at the drawn face of her handmaiden, Joan. The blonde sheen of her hair, long gone with the stress of the circumstances and occupation they were all forced to live under. Joan gulped. "Do you think he will be kind to you? Tonight, I mean?" Rowena's breath caught in her throat. The marriage bed. How would her husband treat her? With kindness? As her husband, he gained much by this union. A lot of responsibility, yes, but also power. Some men loved power. She tipped her chin up. "I believe he will be kind as I will give him no reason not to be." Joan's eyes rounded. Rowena smiled tightly. "Fear not, Joan. I will be amicable." "My lady, would that I could impart upon you my own knowledge, but I have none. Your mother's death before she prepared you leaves you in a bad way." "Perhaps he will be a gentle man. John." His name was all she knew. "Yes, my lady. He is one of William's most trusted knights." "A warrior." Rowena's tone was flat and for an instant she saw again her father. Cold and dead. Blood all around. She forced the memory aside. "Then he will be a good protector." 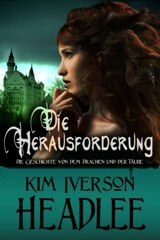 Buy The Saxon Bride on Amazon.com. Always an avid romance reader herself, Ashley York enjoys bringing history to life through vibrant and meaningful characters, writing historical romance novels full of passion and intrigue set in the 11th and 12th century British Isles. 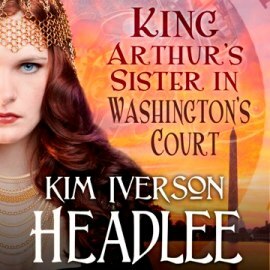 Her newest release, The Saxon Bride, is the first in the Norman Conquest series. When she is not writing, talking about writing, or thinking about writing, Ashley relaxes with visits to the local pubs listening to live Celtic tunes. She lives in southern New England with her husband and 3 very spoiled animals. This month's giveaways include Goodreads -- for 5 autographed copies of my post-Norman-Conquest novel Snow in July -- and Rafflecopter! Giveaway ends October 31, 2014. In Too Deep by Anita Philmar! On the banks of the Trinity River, Sadie Pepperman is looking for a chance to escape the demands of her in-laws. With her husband’s dead, they want her to marry her brother-in-law so they can take control of her farm. Suddenly, the peace of the day is shattered when her best friend steps too far into the river. Rushing to save her, Sadie meets a handsome stranger that ignites her dormant lust. She sees her friend rescued by a steamship and backs away from Logan Jansen, only to turn her ankle. The agonizing pain leaves Sadie with the inability to walk. Needing help, she offers Logan a place to stay if he’ll help with the chores on her farm. With his agreement, Sadie adds another problem to her list. Now, not only does she have to worry about how to bring her crops in from the field and run her farm alone but she also has to fight her attraction to Logan. Can Sadie end her in-laws’ interference in her life, run her farm alone, and give love another chance? How educated is Logan? Is he book smart, self-taught, widely experienced? Having grown up on a ranch, he understand what is needed to make a farm successful. He is also curious about the world and loyal to his country. This is one of the reason, he has decided to join the civil war. Does he scrape by, live comfortably, live extravagantly? He works for all that he has and knows the value of putting in a hard day’s work. What special skills does Logan rely on? He understands that if you’re willing to put in the time you can be successful at whatever you do. Is he close to family? No, he wants to make his own way in the world and sees himself as not being dependent on his family for a bright future. What past event causes him the most fear? Not being accepted for who he is and the choices he’s made. What is your hero's biggest hopes and dreams? To save the world, and he finds he can do this for one special person. What attracts Logan to Sadie? Initially, it is her looks. She’s wearing her bloomers and a camisole. Her dark hair and heart shaped face hide a woman who is overwhelmed by the responsibility of taking care of herself and her farm. Looking to be a hero, he wants to help her. Why? Because he can envision them building a life that they both want...a successful farm, a family, a future in each other arms. What frustrates Logan the most about Sadie? Her independent nature to do everything herself and to understand everything that is involved in running her farm. Thank you for giving us a peek into the mind of your hero! Enter these giveaways on the Maze! Today on The Maze: Stormy by Tina Gayle! Until children, an ex-husband, an unexpected heart-attack, a conniving trophy-wife, guilt, and personal choices come between them. Will the heat of their passion let them break from the past and move into the future? Hot read for mature adults - a second chance at love. Problem, he wore only a towel. Awe, sh*t...she didn’t need to see his bare chest covered in crisp dark hair, the sculptured muscles of his arms and shoulders, developed pecs, and thick thighs. Damn, how was she supposed to resist such temptation? Enter the great giveaways I'm running this month! 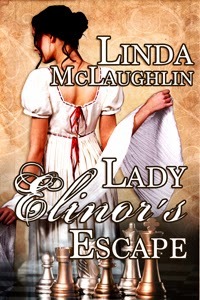 Today on The Maze I am pleased to introduce the hero of Lady Elinor's Escape, Stephen Chaplin, as interviewed by author Linda McLaughlin! There are too many women in barrister Stephen Chaplin's life, but he has never been able to turn his back on a damsel in distress. The younger son of a baronet is a rescuer of troubled females, an unusual vocation fueled by guilt over his failure to save the woman he loved from her brutal husband. He cannot help falling in love with his secretive seamstress, but to his dismay, the truth of her background reveals Stephen as the ineligible party. Linda McLaughlin recently visited barrister Stephen Chaplin, Esquire at his offices in London’s Lincoln’s Inn to interview him. LM: Mr. Chaplin, thank you so much for agreeing to meet with me. Can you tell me a bit about yourself? For instance, are you originally from the London area? SC: No, my family is from Lincolnshire. I grew up on a small estate with my elder brother and my younger sister, Olivia. LM: Where did you attend university? SC: Cambridge, of course. The men of my family have done so for several generations. Then I came to Lincoln’s Inn to read for the law. LM: Did you always want to be a barrister? SC: Not as a child, of course. Boys always have dreams of being brave warriors or finding one’s fortune at sea. But Father said I wasn’t cut out for the military--not obedient enough--though he thought I would do well in Parliament, since I seemed to enjoy arguing. LM: You do think for yourself. What do you like most about the legal profession? SC: I find it most gratifying when the law and justice align, which doesn’t always occur. Many of our laws are unnecessarily harsh, and I’d like to do something about that one day. In the meantime, I do what I can to help those in need of protection. LM: What are your reading tastes? SC: The Times, of course; all the London newspapers, for that matter. I rarely have time to read for pleasure, unlike my sister, Olivia, who devours every Gothic novel she can get her hands on, no matter how ridiculous. She even has hopes of publishing her own romantic scribblings one day. I’ve told her in no uncertain terms that she may not use my life experiences as fodder for her novel, or she will be very sorry! LM: Hmm. What is the oddest thing that’s ever happened to you? SC, with a smile: That would have to be the day I met the mysterious Mrs. Brown, a.k.a. Lady Elinor Ashworth, now Mrs. Chaplin. I was in the West Country, having a peaceful breakfast when a madwoman in widow’s weeks came bursting through the door, demanding immediate passage to London. She appeared to be in need, so naturally I volunteered to assist, not knowing she would disrupt my life, destroy my peace of mind and make me fall madly in love with her. If you want to know exactly how Lady Elinor turned Mr. Chaplin’s life upside down, the answers are in Lady Elinor’s Escape. The Horse and Cart Inn bustled with business when Stephen Chaplin entered the common room. The scent of frying bacon soon had his stomach growling. A fire burned brightly in the smoke-blackened fireplace, dispelling the morning chill. She turned and walked away, weaving between the crowded tables. She seemed like a different girl than the half-starved waif his housekeeper had taken in two months ago. He frowned, remembering her tale of being lured to London by a smooth-talking stranger only to be abandoned as soon as she had conceived. What kind of cad deserted a woman in a delicate condition? The only thing worse was a man who used his fists on a female, like that blackguard Northam. Stephen closed his mind to that line of thought. Deborah had been gone for six years now, and if not forgotten, at least the pain of her death had faded. At her funeral Stephen had vowed never again to walk away from a woman in need, which was how he found himself at an inn in Wiltshire during the Season. When Nancy returned with his breakfast, he applied himself to the large slab of bacon and toast dripping with butter, and then washed it all down with strong black coffee. Rescuing damsels in distress was hungry work. Pamela S. Thibodeaux, Tempered Hearts. Dr. Scott Hensley (introduced in Tempered Hearts) has built a wall around his heart since the death of his wife and parents. Katrina Simmons is recovering from scars inflicted on her as a battered wife. Can dreams be renewed and faith strengthened? Can they find joy and peace in God’s love and in love for one another? Her voice was as enticing as silk and just as alluring. Her excitement set fire to his blood. “Anything,” he assured in a thick voice. Pushing his plate away, Scott stood and held his hand out to her. Trina placed a trembling one in his firm grip. Pulling her gently to her feet, Scott raised it to his mouth, brushing his lips across her knuckles. “Food is not what I’m hungry for,” he informed her in a husky whisper. Trina waited as he paid for their meal then followed him to the parking lot as gracefully as possible on legs that wobbled. He paused and in a silent gesture, signaled for her to give him her car keys. His fingers brushed sensuously over her wrist and palm, grasping hers gently when she placed them in his hand. Locking his heated gaze with hers, Scott raised their clasped hands to his lips, this time lingering over the kiss. He nibbled on her knuckles, teasing the back of her hand with his mouth, then, in one swift movement, turned his attention to the sensitive flesh of her palm and wrist, relieving her of her keys and her senses. Trina felt the caress to the very core of her being. She moaned, leaning against his hard frame when he pulled her closer. His heat enveloped her until she burned with him, for him. And his lips had never even touched hers. Happy Autumn from the Dawnflier! Autumn in general and October in particular represent my favorite time of year: the shorter days leading to longer nights before a cozy fire, the brisk breeze heralding winter, harvesting the fruits of the summer’s labor in the garden and orchard…canning all that bounty is another matter altogether, but it’s definitely worthwhile come meal time. 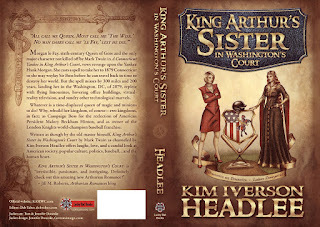 The fruit of a years-long season of labor is about to come to a head with the imminent release of my sequel to Mark Twain’s A Connecticut Yankee in King Arthur’s Court, which I have titled King Arthur’s Sister in Washington’s Court (KASIWC). The official launch of the ebook edition, featuring several wonderful illustrations by Jennifer “The Royal Portraitist” Doneske and Tom “The Creature King” Doneske, is 11/01/2014, but copies may be pre-ordered via Amazon.com and its affiliates worldwide, and it’s also available for the Nook, iPad/iPhone, Koboreader, and other platforms for only 99 cents a download, a fabulous deal for such a groundbreaking work. 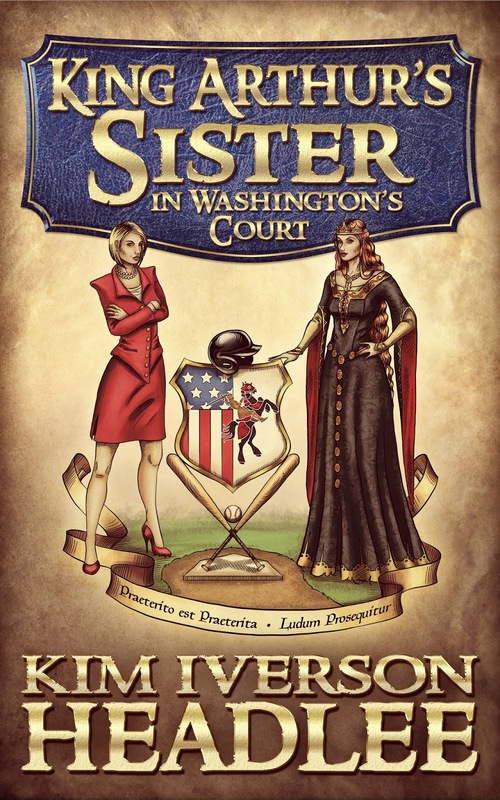 Bloggers and reviewers, there is still time to get in on the King Arthur’s Sister in Washington’s Court Blog Tour, November 1-30, 2014. The preceding link takes you to the tour signup form on Google Docs, which gives the full details of the tour, including the types of guest posts I will contribute, and so forth. If you have already signed up—and I know some of you have—thank you very much! 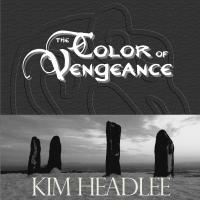 To further celebrate the launch of KASIWC, I am offering another FREE Kindle promotion for one of my stories, The Color of Vengeance. Hurry: the promotion ends at midnight on October 3rd! If you miss out, don’t worry; I’ll be running another free promo in December. 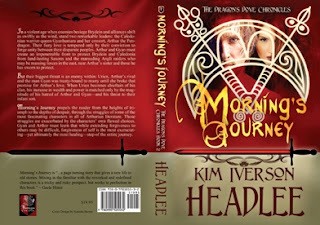 Although The Color of Vengeance is excerpted from the second volume in my critically acclaimed, award-winning Arthurian series, Morning’s Journey, the story exists as a stand-alone work and may be read without having read any of my other novels in this series. Now that I’m getting settled in to my new life as an empty-nest mom, I have several appearances scheduled for this month. I hope to see you at one or more of them! Saturday, October 11th, 1:00 – 4:00 p.m. I will be joining more than three dozen DC-area romance authors at The Loft at 4935 (a.k.a. 4935 Bar and Kitchen), 4935 Cordell Avenue, Bethesda, MD for the inaugural Washington Loves Readers Luncheon. For more information to sign up if you can attend, or to share with your fans if you cannot attend, please see my blog post here. Either way, thank you very much for your support. Friday, October 24th, 7:00 – 11:00 p.m., and all day Saturday, October 25th, I will be a featured author guest at Rising Star 23, being held at the Harris-Jefferson Student Center (building 6) at Bluefield State College, Bluefield, WV. For a whopping $5.00 entry charge, you can meet me and many other awesome authors, artists, gamers, dealers, and friends! 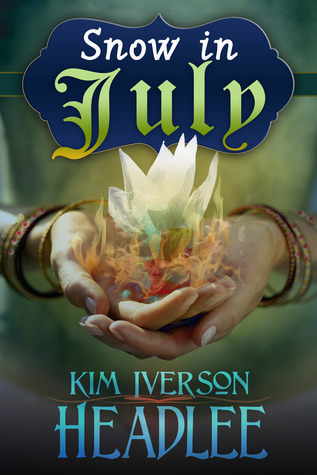 Congratulations to the winners (already notified) of my latest novel, Snow in July: Charilene, Shaina, Niki, Amanda, Marcy, AF, Suzie, Kelsey, Leslie, Kimberly, and Laura. But wait, there’s more: the Goodreads giveaway for autographed paperback copies of Snow in July is now open for entries! To enter, visit this link: https://www.goodreads.com/giveaway/show/107246-snow-in-july and good luck! Sgeulachd ni sinn na's mò. ~ Stories make us greater.